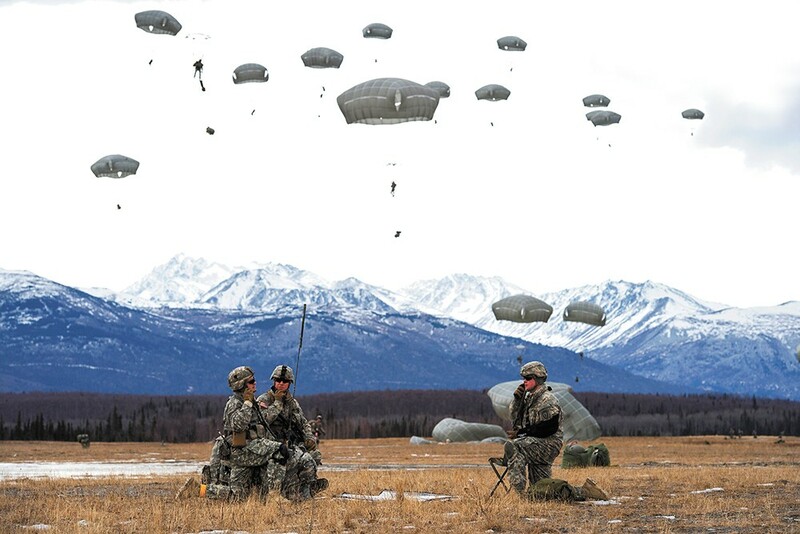 Paratroopers assigned to the 4th Infantry Brigade Combat Team practice a forced-entry parachute assault at a base in Alaska as part of a larger tactical field exercise. Begun by Carl Jensen, a sociology professor at California's Sonoma State University, shortly after Watergate in 1976, it's become an institution involving dozens of faculty members and institutions working together to come up with an annual list of the Top Censored Stories of the Year. The Watergate burglary in June 1972 "sparked one of the biggest political cover-ups in modern history," Jensen later recalled. "And the press was an unwitting, if willing participant in the coverup. "Watergate taught us two important lessons about the press: First, the news media sometimes do fail to cover some important issues, and second, the news media sometimes indulge in self-censorship," he says. On the upside, it led to the creation of Project Censored. As with the Watergate story, these aren't censored in the overt, heavy-handed manner of an authoritarian dictatorship, but in the often more effective manner reflecting our society as an oligarchy with highly centralized economic power pretending to be a "free marketplace of ideas." It may give people what they think they want in the moment, but it leaves them hungry for more, if not downright malnourished in the long run. The missing stories concern vital subjects central to the healthy functioning of our democracy. The problem is, we may not even realize what we're missing, which is precisely why Project Censored is essential. This year, 221 students and 33 faculty members from 18 college and university campuses across the United States and Canada were involved. A panel of 28 judges, comprised of media studies professors, professional journalists, and even a former commissioner of the Federal Communications Commission also participated. This effort reflects the fact that news isn't just created for individuals to consume, but for citizens to debate, discuss and then take action on. The real Project Censored, in short, includes you, the reader. Project Censored has always dealt with specific stories, but on anniversaries like this one, the larger patterns those stories fit within are impossible to ignore. Economic inequality, global warming, petro-politics, suppression of health science, government spying, corporate influence of government: These are all familiar themes that appear again on this year's list. The covert exercise of U.S. military power is a recurrent subject of Project Censored stories. This year's top censored story joins that long tradition. It deals with the massive expansion in the number of countries where the officially unnamed war on terror is now being waged by U.S. Special Operations Forces — 147 of the world's 195 recognized nations, an 80 percent increase since 2010. This includes a dramatic expansion in Africa. The majority of the activity is in "training missions," meaning that this expansion is promoting a coordinated worldwide intensification of conflict, unseen at home, but felt all around the globe. Writing for TomDispatch, the Nation and the Intercept, Nick Turse exposed different aspects of this story and its implications. Turse's story for the Intercept focused on the development of a single base, Chabelley Airfield, in the East African nation of Djibouti. It's an "out-of-the-way outpost" transformed into "a key hub for its secret war... in Africa and the Middle East." In the Nation, Turse tackled the question of mission success. Project Censored noted that "Turse [had] reported skepticism from a number of experts in response to this question, pointing out that "impacts are not the same as successes." 2. Crisis in Evidence-Based Medicine: Richard Horton, "What is Medicine's 5 Sigma?" The role of science in improving human health has been one of humanity's greatest achievements, but the profit-oriented influence of the pharmaceutical industry has created a crisis situation: That research simply cannot be trusted. Burying truth for profit is a recurrent theme for Project Censored. The top 1981 story concerned fraudulent testing from a single lab responsible for one-third of the toxicity and cancer testing of chemicals in America. But this problem is much more profound. "[M]uch of the scientific literature, perhaps half, may simply be untrue. Afflicted by studies with small sample sizes, tiny effects, invalid exploratory analyses, and flagrant conflicts of interest, together with an obsession for pursuing fashionable trends of dubious importance, science has taken a turn towards darkness... The apparent endemicity of bad research behaviour is alarming." A classic case was Study 329 in 2001, which reported that paroxetine (Paxil in the U.S./Seroxat in the UK) was safe and effective for treating depressed children and adolescents, leading doctors to prescribe Paxil to more than 2 million U.S. children and adolescents by the end of 2002, before being called into question. The company responsible (now GlaxoSmithKline), agreed to pay $3 billion in 2012, the "largest health care fraud settlement in U.S. history," according to the U.S. Department of Justice. Nonetheless, the study has not been retracted or corrected, and "none of the authors have been disciplined," Project Censored points out. This, despite a major reanalysis which "'starkly' contradicted the original report's claims." The re-analysis was seen as the first major success of a new open data initiative known as Restoring Invisible and Abandoned Trials. While Project Censored noted one Washington Post story on the re-analysis, there was only passing mention of the open data movement. "Otherwise, the corporate press ignored the reassessment of the paroxetine study," and beyond that, "Richard Horton's Lancet editorial received no coverage in the U.S. corporate press." High carbon dioxide levels threaten the entire marine food chain. Global warming is a recurrent Project Censored subject. Systemic changes associated with global warming threaten human welfare and all life on Earth through a multitude of different pathways. These remain largely hidden from public view. One potential pathway — directly dependent on carbon, not temperature — is through the catastrophic overproduction of Trichodesmium bacteria, which could devastate the entire marine food chain in some regions. It lives in nutrient-poor parts of the ocean, where it fixes atmospheric nitrogen into ammonium, an essential nutrient for other organisms — from algae to whales. A five-year study by researchers at the University of Southern California and Woods Hole Oceanographic Institution found that subjecting hundreds of generations of the bacteria to predicted CO levels in the year 2100 caused them to evolve into "reproductive overdrive," growing faster and producing 50 percent more nitrogen. "Most significantly, the researchers found that even when the bacteria was returned to lower, present-day levels of carbon dioxide, Trichodesmium remained 'stuck in the fast lane,'" Project Censored noted, a finding that one researcher described as "unprecedented in evolutionary biology." The "biggest risk" of outdated voting machines may be resulting long lines. In particular, search engine algorithms and electronic voting machines provide opportunities for manipulation of voters and votes, which could profoundly affect the 2016 election. Their study of more than 4,500 undecided voters in the U.S. and India showed that biased search rankings "could shift the voting preferences of undecided voters by 20 percent or more" and "could be masked so that people show no awareness of the manipulation." In an earlier article for Politico, Epstein wrote that the Search Engine Manipulation Effect "turns out to be one of the largest behavioral effects ever discovered. ... [W]e believe SEME is a serious threat to the democratic system of government." 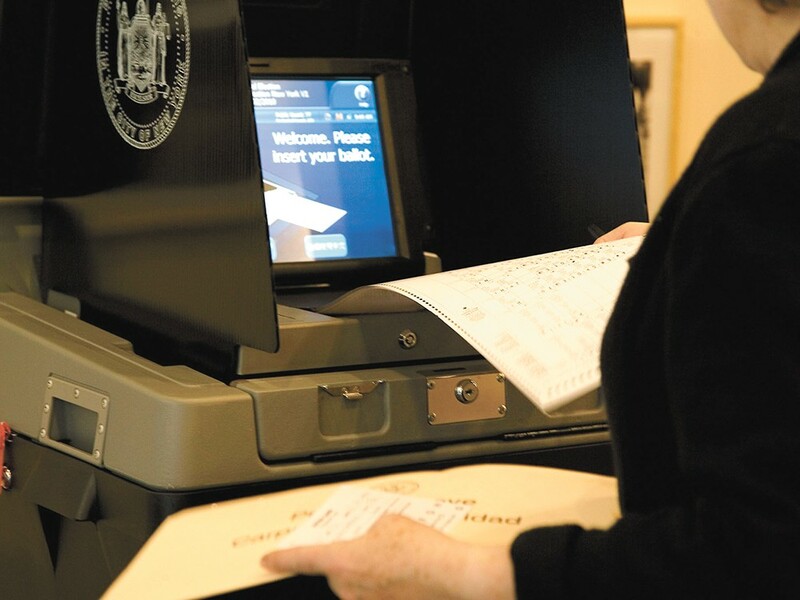 Because courts have ruled that their source code is proprietary, private companies that own electronic voting machines are essentially immune to transparent public oversight, as Harvey Wasserman and Bob Fitrakis have documented. On Democracy Now! and elsewhere, Wasserman and Fitrakis have advocated universal, hand-counted paper ballots and automatic voter registration as part of their "Ohio Plan" to restore electoral integrity. The world is experiencing a global refugee crisis (60 million worldwide according to a June 2015 report, 11.5 million of them Syrian). This has been covered in the corporate media — though not nearly enough to generate an appropriate response. What hasn't been covered is the increasingly well-organized exploitation of refugees, particularly those displaced in Syria. An AlterNet article by Sarah Lazare — cited by Project Censored — warned of the World Bank's private enterprise solution to the Syrian displacement crisis. "Under the guise of humanitarian aid, the World Bank is enticing Western companies to launch 'new investments' in Jordan in order to profit from the labor of stranded Syrian refugees, Lazare writes. "In a country where migrant workers have faced forced servitude, torture and wage theft, there is reason to be concerned that this capital-intensive 'solution' to the mounting crisis of displacement will establish sweatshops that specifically target war refugees for hyper-exploitation." A World Bank press release touted "the creation of special economic zones or SEZs," but Project Censored noted, "Myriam François, a journalist and research associate at SOAS, the School of Oriental and African Studies at the University of London, told Lazare that the development of SEZs in Jordan 'will change refugee camps from emergency and temporary responses to a crisis, to much more permanent settlements.'" The SEZ proposals, François said, are "less about Syrian needs and more about keeping Syrian refugees out of Europe by creating (barely) sustainable conditions within the camps, which would then make claims to asylum much harder to recognize.'" Even the working poor receive scant attention, but those living in deep poverty — less than $2 per day — are almost entirely invisible. Kathryn J. Edin and H. Luke Shaefer, sociologists and authors of the book $2.00 a Day: Living on Almost Nothing in America state that in 2011 more than 1.5 million U.S. families — including 3 million children — lived in deep poverty at any given month. Their depiction of what poverty looks like reads "like a Dickens novel," Marcus Harrison Green wrote in YES! Magazine, while in the Atlantic, economist Jared Bernstein noted that their research highlights the problematic long-term consequences of President Bill Clinton's 1996 welfare reform initiative, with its "insistence on work without regard to job availability." • First, policy must start by expanding work opportunities for those at the very bottom of society. • Second, policy must address housing instability, which Shaefer described as both a cause and a consequence of extreme poverty. "Parents should be able to raise their children in a place of their own." • Third, families must be insured against extreme poverty, even when parents are not able to work. Five years after the Fukushima nuclear power plant was destroyed by an earthquake and tsunami in March 2011, the nuclear disaster continues to unfold, with the ongoing release of large quantities of radioactive waste water into the Pacific Ocean, in turn affecting ocean life through "biological magnification." Project Censored cites a media analysis by sociologist Celine-Marie Pascale of American University. Pascale analyzed more than 2,100 articles, editorials, and letters to the editor on Fukushima in the Washington Post, the New York Times, Politico, and the Huffington Post between March 11, 2011 and March 11, 2013, and focused on two basic questions: "Risk for whom?" and "From what? The largest and longest lasting nuclear disaster of our time was routinely and consistently reported as being of little consequence to people, food supplies, or environments. ... In short, the media coverage was premised on misinformation, the minimization of public health risks, and the exacerbation of uncertainties. 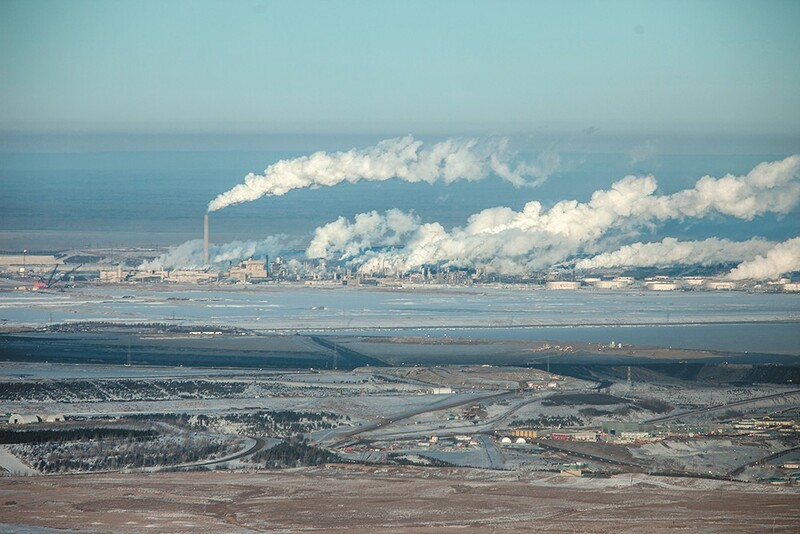 In contrast, Dahr Jamail's reporting for Truthout pointed out that the cooling process — still ongoing after five years — has produced "hundreds of thousands, if not millions, of tons" of highly radioactive water, much of which has been released into the Pacific Ocean. Such nuclear disasters "never end," Arnold Gundersen, a former nuclear industry senior vice president, told Jamail. Project Censored also cited Linda Pentz Gunter, writing for the Ecologist about the Japanese government's ongoing coverup. "In order to proclaim the Fukushima area 'safe,' the government increased exposure limits to 20 times the international norm," Gunter writes, in order to force refugees to return home, despite medical or scientific evidence to the contrary. 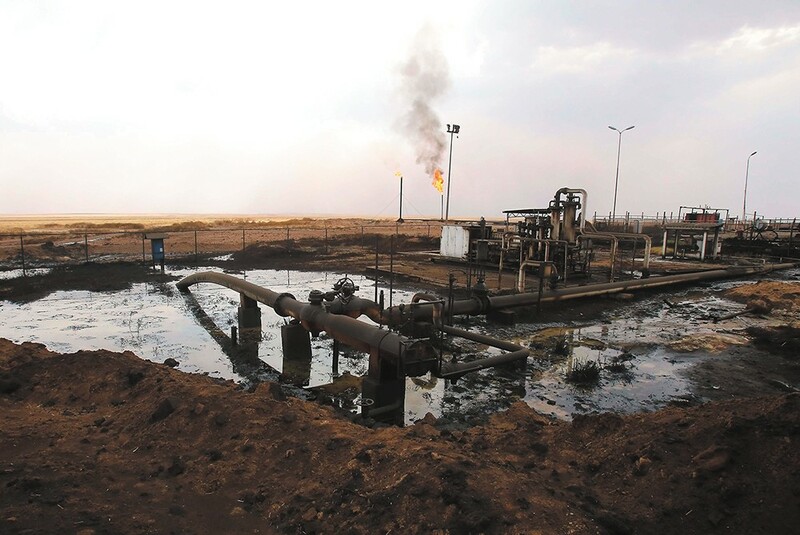 The Syrian war grew out of a conflict over oil and gas. The Syrian war and its resulting refugee crisis have repeatedly gained headlines over the past five years, but the origins of the conflict — control of oil and gas, the politics of which have dominated the region since before World War II — are rarely considered. The hidden influence of oil — from climate change to campaign finance and corporate lobbying to foreign policy — has been a recurrent subject of Project Censored stories. "The 2011 uprisings, it would seem — triggered by a confluence of domestic energy shortages and climate-induced droughts which led to massive food price hikes — came at an opportune moment that was quickly exploited," Ahmed writes, as part of a broader strategy to undermine governments in the region, as well as manipulating social movements and armed factions for the purpose of maintaining control of oil and gas. Muhawesh and Ahmed both point, in particular, to Syrian President Bashar-al Assad's choice between competing pipeline proposals. He refused to sign a proposed agreement for a pipeline from Qatar's North field through Saudi Arabia, Jordan, Syria and on to Turkey in 2009, because it would have hurt his ally, Russia. Muhawesh cites U.S. cables revealed by WikiLeaks as evidence that "foreign meddling in Syria began several years before the Syrian revolt erupted." Ahmed came to the same conclusions by drawing on multiple sources, including a RAND Corporation document, "Unfolding the Future of the Long War," which discussed long-term policy options dealing with the complex interplay of energy interests and ethno-religious-political manipulations. There's a whole deeper level of driving forces not being reported on behind the Syrian war and refugee crisis. The pharmaceutical industry (aka "Big Pharma") already appeared in story No. 2, "Crisis in Evidence-Based Medicine," due to the destructive influence of their financing on the practice of basic science in testing and developing new drugs. But that's not the only destructive impact of their spending. Although they spent $51 million in campaign donations in the 2012 presidential election, and nearly $32 million in the 2014 midterms, Mike Ludwig of Truthout reported that they spent $7 lobbying for every dollar spent on the midterms. "The $229 million spent by drug companies and their lobbying groups that year was down from a peak of $273 million in 2009, the year that Congress debated the Affordable Care Act," Project Censored noted. Legislation that was influenced involved all the industry's top concerns, "including policy on patents and trademarks, management of Medicare and Medicaid, and international trade." "Pharmaceutical lobbyists also consistently lobby to prevent Medicare from negotiating drug prices," Project Censored also noted. Coverage of their spending is scant, and virtually never tied directly to the issues that Big Pharma itself is lobbying on. The Cybersecurity Information Sharing Act, signed by President Barack Obama and supported by Senate Minority Leader Sen. Mitch McConnel, undermines privacy protections, Project Censored argues. 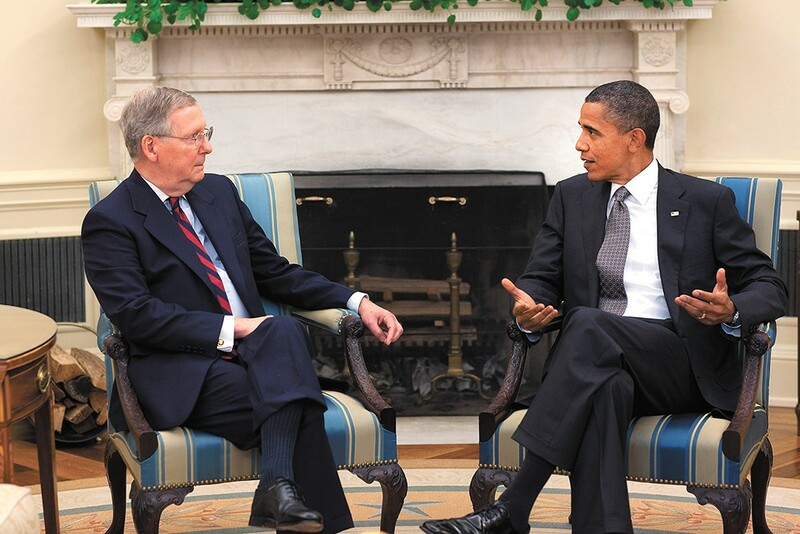 In July 2015, Senate Majority Leader Mitch McConnell attempted to attach the Cybersecurity Information Sharing Act, or CISA, as an amendment to the annual National Defense Authorization Act. However, the Senate blocked this action by a vote of 56-40, in part because, unlike an earlier version, it essentially enabled intelligence and law enforcement officials to engage in surveillance without warrants. Yet, on Dec. 18, 2015, President Barack Obama signed CISA into law as part of a 2,000-page omnibus spending bill, amid media silence — with notable exceptions at Wired and the Guardian. The act authorized the creation of a system for corporate informants to provide customers' data to the Department of Homeland Security, which, in turn, would share this information with other federal agencies — the National Security Agency, FBI, Internal Revenue Service and others — without privacy-protecting safeguards. Paul Rosenberg is the senior editor for Random Lengths News in Southern California and is a contributing columnist for Salon.com. Terelle Jerricks is the managing editor who contributed to this article.